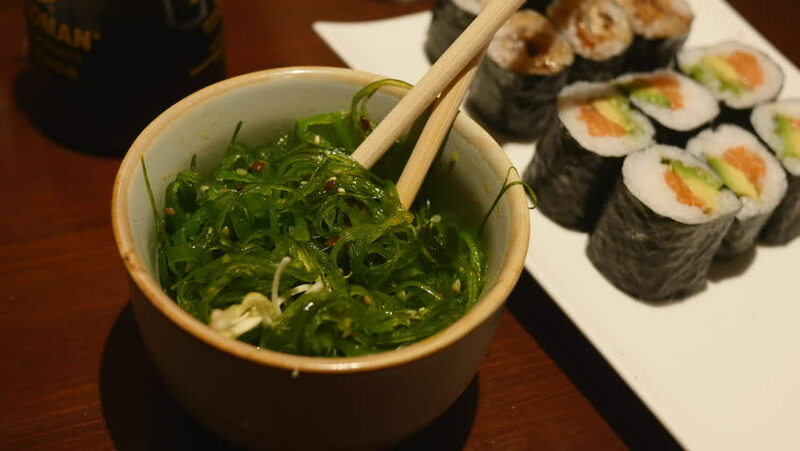 Seaweed salad in a bowl with chopsticks and a plate of sushi in the back. 4k00:14Mixing traditional South Korean food bibimbap in big bowl. hd00:09Steaming, boiling meat dish on heated hot plate on dinner table. Chinese traditional dish.